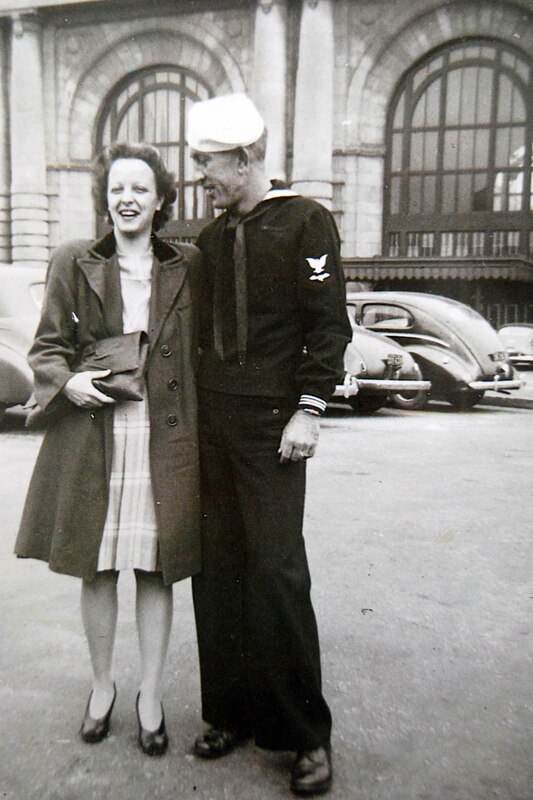 My Grandma and Grandpa, on the day Grandpa left Union Station, Kansas City for service with the Navy in World War 2.
gorgeous! love the photo and the poem. Thank you for being my constant encourager Megan! Beautiful! Thank you for sharing this piece of your heart with us. Thank you for visiting and encouraging, Jody! Your writing always touches me. Thank you! I’m so glad to visit your blog and discover your deeply intentional, sensitive heart.